A selection of specialty ox hair paint brushes, ideal for water colour and oil colour painting. Also includes Snazaroo face and body painting brushes. Ox hair is a natural hair which has a strong body with a silky texture. Ideal for Water Colour and Oil. 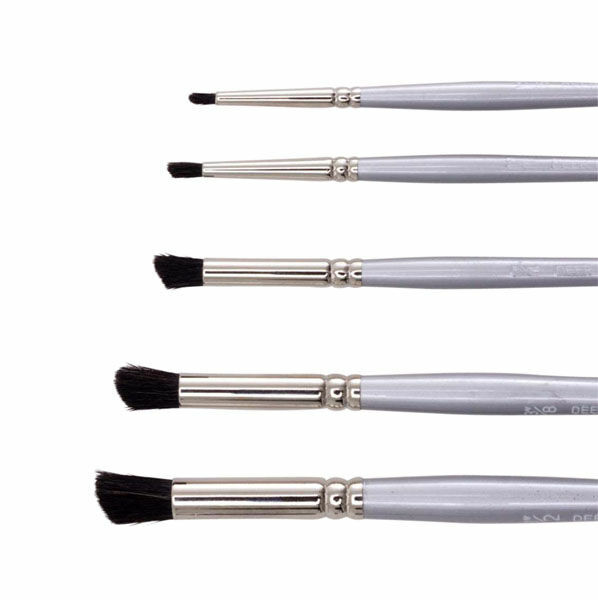 A selection of soft & durable brushes for painting small, fine detail or covering large areas.